You've probably dreamed of your wedding since you were a little girl, but when you were imagining a fairy-tale dress and arriving in a horse drawn carriage, the cost of throwing a wedding most likely never occurred to you. Although you want your wedding to be magical, having a fairy tale special day often comes at a very high cost. Luckily, there are tons of tips and tricks that will help you cut back on the spending while you still have a dream wedding. When in doubt, thrift it out! Buying secondhand is an easy way to dramatically reduce costs. Most brides will try to sell their decorations after the wedding so if you're looking for centerpieces, table cloths, chair covers, candles, or even just some extra craft supplies, Facebook wedding groups will be your best friend. If you stay on top of it, you'll be able to scrounge up some great decorations for a low cost. 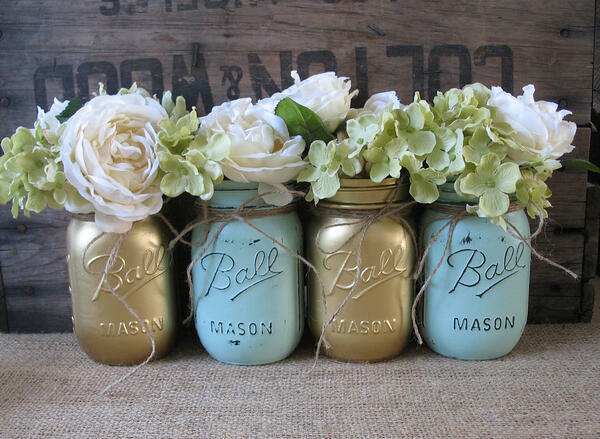 Thrift stores are full of hidden treasures like vases and jars that can be integrated into your decor. Related: Top 5 Wedding Photo Apps For Your Big Day! When it comes to hiring people for your wedding, the costs add up...FAST. This is when your talented friends and family can come in handy. Whether your cousin is a budding photographer who wants to practice her skills, a friend who wants to try his hand at DJing, or you have an aunt who loves making floral arrangements, reaching out to your loved ones will not only reduce your stress, it will also help your wallet. The people willing to help will most likely do it at a way cheaper cost, or sometimes even free, depending on the proposed task. Getting everyone involved is also a great bonding experience and it will make them feel like you want them to be a big part of your special day. You've probably heard the saying "relationships are all about compromise." This statement also holds true to weddings. As you are reviewing your wedding budget, it's important that you and your partner are on the same page about where you are willing to splurge and where you are willing to save. Maybe you both want to spoil your guests with a beautiful meal but opt to save costs on alcohol by only serving beer and wine. When you make compromises, your guests will never notice because they will be too focused on the areas where you have splurged, like the candy bar, and forget about the number of candles on the tables. There are many costs you don't factor in at the beginning of planning that can really add up like party favors and entertainment. What if there was a way to combine these extra costs into one? 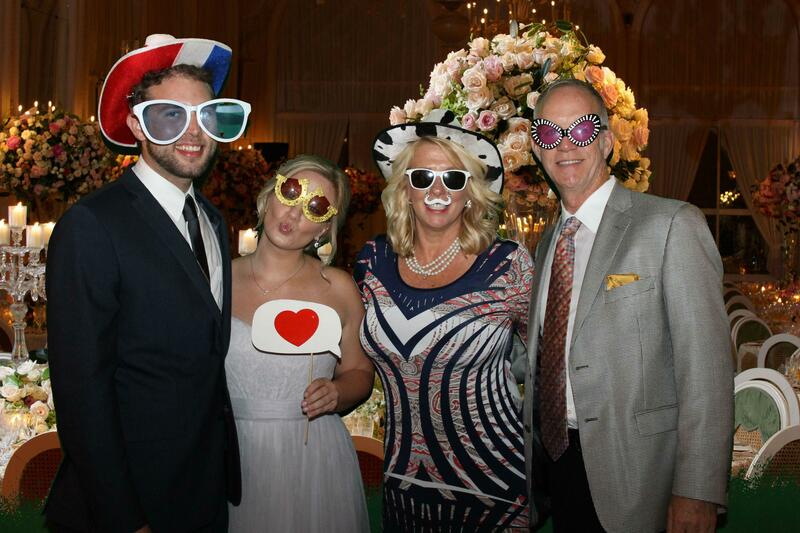 A TapSnap photo booth is a great investment because it contains your wedding slide show, wedding entertainment, and party favors all in one! Our photo booths are 100% customizable, meaning we can wrap the kiosk to match your wedding colors or customize the green screen, animations, and overlays to include your names and wedding date. The options are truly endless! You may also want to consider adding a roaming social photographer into the mix, who will make sure all the candid moments are captured like when your grandpa gets up on the dance floor to do a boogie! If you are interested in saying 'I Do' to a TapSnap photo booth, you can find out more about how we can make your wedding magical here or you can check your date below!